RSM's Golf Blog: Love is in the Air…and a Lot of Other Places! Love is in the Air…and a Lot of Other Places! Last week at the 2013 Waste Management Phoenix Open, Team McGladrey Member Davis Love III, unfortunately, had to withdraw going into the second round due to a neck injury. He also had to withdraw from the AT&T Pebble Beach Tournament (which starts today). Davis is undergoing neck surgery tomorrow (Feb. 8th) so he will miss six-to-eight weeks. We’re sending best wishes for a speedy recovery his way! Leave your wishes here and we’ll be sure to pass them on to Davis. On a brighter note, we’ll be cheering on Team McGladrey Member Chris DiMarco as he plays at Pebble Beach. And Team McGladrey Member Zach Johnson will be playing in the Northern Trust Open at Pacific Palisades, CA (starting Feb. 14). 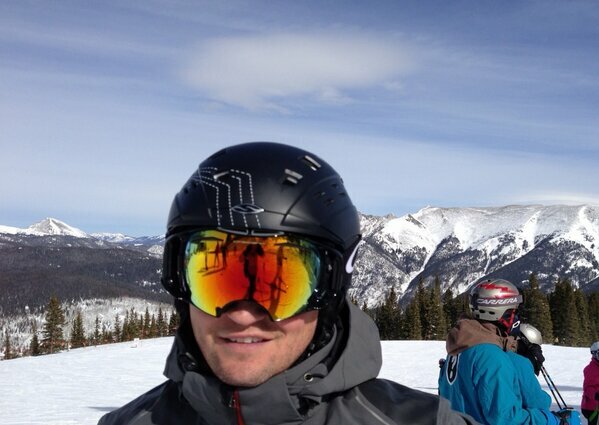 In the meantime, Zach has been a little busy with another sport – skiing! Check out the pictures Zach posted to Twitter. It looks as if he is having a great time – and we hear that no snow ball fights have broken out… yet! We announced in December that Davis Love III won the U.S. Golf Association’s Bob Jones Award but the actual ceremony presenting the honor just took place this past weekend. Davis, who was unable to attend the ceremony, said in a statement to Golf Channel, “I am very grateful to be selected by the USGA to receive their highest honor. Just to be mentioned in the same company as the previous recipients is a nice compliment, but to have my name permanently etched alongside them on an award named after Bob Jones is a tremendous feeling.” Previous winners of the Bob Jones Award include Bob Hope, Arnold Palmer, Jack Nicklaus, Bing Crosby and others. Davis is, indeed, in good company. Watch the inspiring video the USGA presented about Davis winning the 2013 Bob Jones Award, which features PGA TOUR past and present players, St. Simon Island locals, family members and others talking about how respected Davis is on and off the course, and about his commitment to giving back to the community. Even more good news came for Davis last week when Stratford Golf Partners announced that Love Golf Management will manage two of its Clubs, Firethorne Country Club in Charlotte, NC and Temple Hills Country Club in Franklin, TN. Those of us working out of McGladrey’s Charlotte office hope this means we’ll see more of Davis in the future!